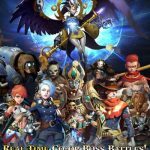 A few days ago Dehua Xu launched a new iOS RPG called Anime Warriors – Guardians of Manga World, which claims to be the “best cartoon style action RPG multiplayer online battle arena” game out there. 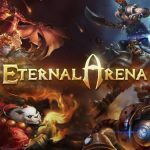 Indeed, this is a game that has a lot of player-vs-player, MOBA elements to it, and its unique selling factor is the fact that a lot of actual anime heroes available in the game. Aside from conventional RPGs and MOBAs, it draws influences from other genres, such as the card battle genre, and also counts “team building and match strategy” and a “cute monster system” among its other features. We could go on and on about the game, but we’d rather focus on offering you some usefull Anime Warriors tips and tricks. With all those different genres (mostly related to RPG gaming) mashed up into one title, there is a lot to learn, but we’re going to focus on the basics for this list of tips. The daily draws give you a chance at getting free heroes, including some good ones. Simply go to the draw cards section, draw a card, and see where it takes you. Typically, you can expect to draw a base hero every ten minutes, for a maximum five times a day, and draw rare heroes every two days. 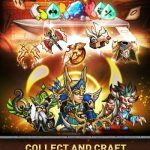 Play the game regularly and take advantage of those draws, as they’re extremely effective in helping you add to your heroes and hero stones. You may have some hero stones but the problem is that you aren’t quite sure where to get the others. However, checking the details of those hero stones will show you where you can find them through drops. If you’re trying to add to your team and have some unlocked areas to explore, this could come in very handy. Just remember, though, that hero stones typically drop in Elite versions, so you may be in for a rough go if you aren’t prepared. Although they may be initial heroes, front liners Straw Hat and FireFist have quite a nifty joint attack they can unleash. Straw Hat starts off by inflating into a large bowling ball, while FireFist fires himself (no pun intended) towards enemies. You’ll need to fill their special gauge up first before you launch the joint attack, but otherwise, using that attack could help you out a lot against bosses and more challenging foes, especially early on. 4. Inlaying Wards – Why Does This Matter? Wards are what the game calls those pieces of equipment you can outfit for your team. They are equipped row by row, which essentially means you don’t have to equip heroes individually. For example, equipping gear on the front row will equip everyone in that row and give them some much-needed bonuses. As you can see here, inlaying wards does matter a lot in this game, and if you have a ward in all of the slots, the stat boosts become permanent. This is our list of Anime Warriors tips and hints for now. In case you know more tricks for the game, please share them with us!